Uconnect® Access – Stay connected to your vehicle at all times via remote app, including remote engine start, remote locking and unlocking, remote vehicle finder, and even remote vehicle diagnostics. SiriusXM® Guardian™ – Get the help you need without having to wait with features like Stolen Vehicle Assistance, Roadside Assistance Call, and SOS Call. Navigation – Get where you’re going quickly and easily with a turn-by-turn navigation system, complete with Send & Go remote navigation directions, traffic and weather updates, and nearby gas stations. 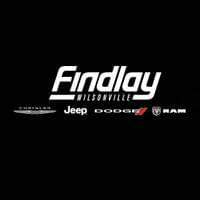 Want to find out more about what’s on offer in the new CDJR lineup near Tualatin? Then come to Wilsonville Jeep RAM and take a look at our new vehicle specials, chat with our helpful staff, and then finance a new vehicle with Uconnect® today! 0 comment(s) so far on What is Uconnect®?